ROCK ISLAND, ILLINOIS (February 14, 2019) — Fall in love with Ballet Quad Cities! Spend Valentine's Day at Figge Art Museum for an encore performance of “Bolero,” an original ballet for five dancers to the music of Maurice Ravel, choreographed by Artistic Director Courtney Lyon. Join us tonight at Great River Brewery from4pm-10pm to raise funds for educational programing we take into area schools. 10% of all proceeds from the evening will go directly to Ballet Quad Cities. Bring your friends, have a beer and meet the artists! Brown bag lunch at the studio is back! Only a few days left to get tickets to Alice in Wonderland! Last weekend 1,300 people saw Ballet Quad Cities perform Alice in Wonderland in Cedar Rapids! Don't miss your chance to spend time in Wonderland as the dancers perform Courtney Lyon's fresh and fun new choreography. We guarantee it will entertain audience members of all ages! Alice in Wonderland tickets are on sale now! Alice in Wonderland tickets are now on sale! Looking for a fabulous Holiday gift? Tickets to Ballet Quad Cities' world premiere of Alice in Wonderland will delight anyone on your list! Don't miss Domingo Rubio's last performance with Ballet Quad Cities next weekend! October 20th & 21st 8pm at The Scottish Rite Cathedral, Moline. 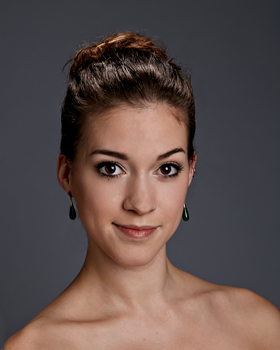 Ballet Quad Cities welcomes 4 new dancers this season! Welcome Four New Woman Dancers to Ballet Quad Cities for the 2017-2018 Season! Mark your calendars for our 2017/2018 season performances!